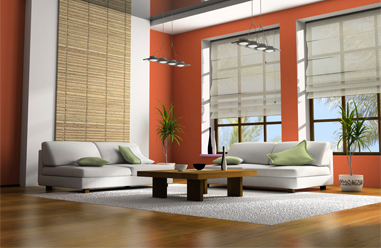 We specialise in supplying and fitting high quality new blinds, curtains and awnings for all home and office environments – and have been doing so for more than 40 years! With blind and curtain showrooms in both Hampshire and West Sussex, we extend our blind supply and installation services across Surrey, Oxfordshire, Berkshire, London, Hertfordshire, Buckinghamshire and the Home Counties. Whether providing blinds for domestic clients, contract customers, trade or local authorities we combine professional services with a no-pressure and friendly approach that lets the quality of our products speak for themselves. Even after the sale our customers come first with options including a technical helpline, free installations, a minimum 2 year guarantee on all blinds and 5 year guarantees on sun awnings. Roller blinds, Vertical blinds, Roman blinds, Pleated blinds, Panel blinds, Conservatory and atrium blinds, Plantation shutters, Sun awnings and canopies, Wood weave blinds, Velux roof window blinds, Venetian blinds and Curtains. Established over 40 years ago as a family business, and still providing the same quality-focused and highly personalised service we started out with, our approach is all about quality, choice and customer satisfaction. Based in Southampton and Emsworth we manufacture, supply and install a huge range of top quality blinds to homeowners and businesses across the South East. With hundreds of designs and models to choose from we are the ideal choice for helping you find the perfect set of blinds, shutters or curtains for your home. Based in Hampshire and West Sussex we carry out contract work across London and the Home Counties including Surrey, Berkshire, Oxfordshire, Buckinghamshire and Hertfordshire. You can find full details of our range on the window blinds products pages, or drop into one of our shops or contact us on 01489 575507 to arrange a no obligation home visit and see just what a beautiful set of new blinds, shutters or curtains could do for your home.